Denny Hamlin led three times for 33 laps and was third for the final restart in Sunday’s 55th running of the Daytona 500, but the inside line never gained momentum in the final five-lap shootout to the checkered flag and the #11 FedEx Express Toyota Camry crossed the finish line in 14th-place. Hamlin restarted on the inside line following the race’s final caution period, but the preferred outside groove proved too much to overcome, as Jimmie Johnson held off Dale Earnhardt Jr. for the victory. Mark Martin finished third, followed by Brad Keselowski and Ryan Newman. The FedEx team started 35th on the famed 2.5-mile high-banked Florida oval, and Hamlin was content to bide his time in the early going near the back of the big draft pack. He gained a few spots after the first two-tire pit stop, and picked off a few more as he narrowly missed a multi-car incident that took out many contenders on Lap 34. Hamlin then linked up with Joe Gibbs teammates Matt Kenseth and Kyle Busch, as well as fellow Toyota drivers in the lead pack, and eventually had a six-car breakaway at the front. Hamlin took the lead for the first time on Lap 77 after quick work by the FedEx crew got him out in front of Kenseth, who had led 34 of the previous 40 laps. The #11 machine ran second through the race’s midpoint as Hamlin positioned himself for the finish. Three caution periods bunched the field in the final quarter of the race, but each time, the FedEx Toyota was forced to start on the inside line, which was never able to sustain momentum or allow Hamlin to mount a charge for the win. The Series heads to Phoenix International Raceway for Sunday’s 312-lap event on the one-mile desert oval where Hamlin is the defending race winner. In that race, Hamlin took the lead on a restart with 58 laps remaining Sunday at Phoenix International Raceway and never looked back, guiding the #11 FedEx Office Toyota Camry to victory lane. Hamlin masterfully circled the one-mile desert oval while conserving fuel for the final 84 laps, and had enough gas to be the first to see the checkered flag, ahead of Kevin Harvick, Greg Biffle, Johnson and Keselowski. Hamlin has eight top-10 finishes in 15 career PIR starts, and has started in the top-five four different times. Hamlin captured the pole in his first-ever Cup start at Phoenix in November 2005. In the most recent trip to PIR last November, Hamlin started third, ran among the leaders throughout the event and finished runner-up to Harvick after leading 46 laps. In total, Hamlin has led 399 laps at PIR and has an average finish of 10.3, second-best among active drivers. The FedEx Ground Great Plains district will be recognized for outstanding service quality with its district code “GPLS” on the b-post of the #11 FedEx Ground Toyota this weekend at Phoenix International Raceway. The Great Plains district, based out of the St. Paul hub, includes all of Minnesota and the Dakotas, and northern areas of Wisconsin and Iowa. 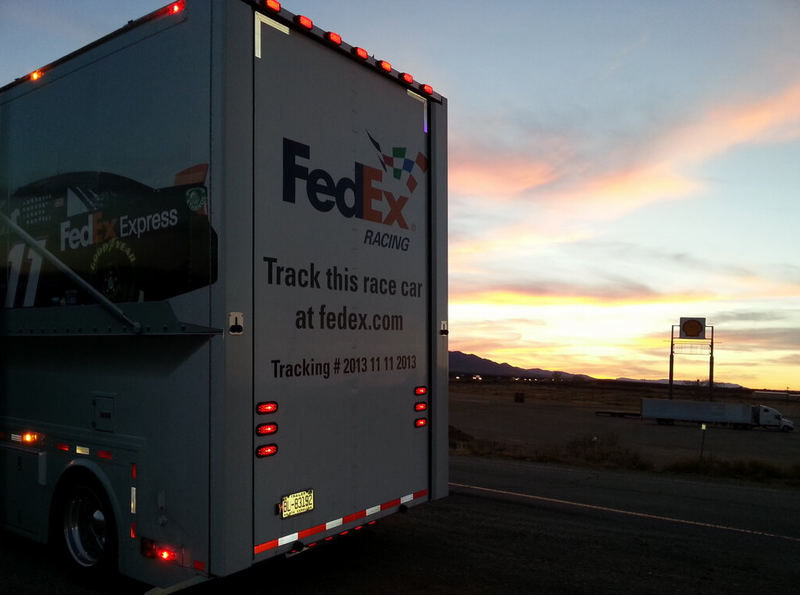 Does the FedEx team have what it takes to defend the race win from one year ago at Phoenix?